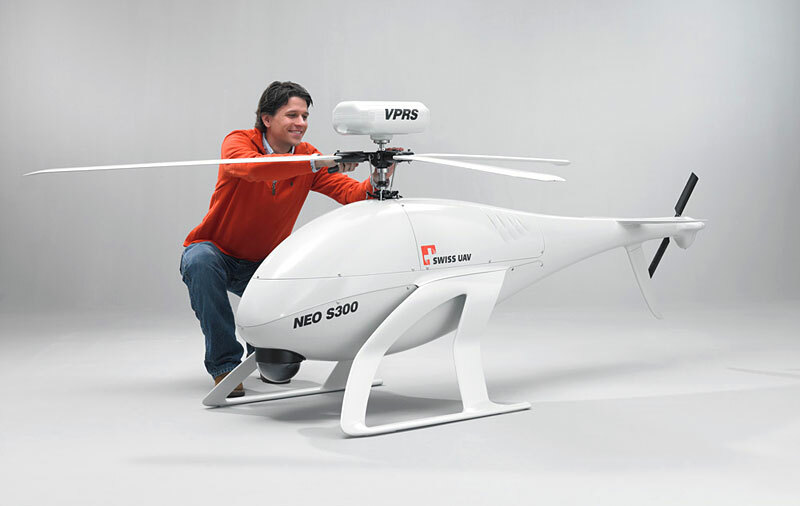 Designed and manufactured in Switzerland, the NEO S-300 is the brainchild of the Swiss UAV team (now UMS Aero Group). The KOAX X-240 has a coaxial rotor system allowing the vehicle to unleash full helicopter capabilities with a minimal physical footprint. Made with a fuselage designed for easy handling with a size small enough to fit in most larger automotive trunks. Carbon composite construction and multiple openings for easy maintenance and exchange of its modular mechanical and electrical components. As I mentioned, this is an older design, however the NEO S-300 looks like the predecessor to the much newer R-350. According to UMS AERO Group, “The R-350 sets the standard in VTOL RPAS. This ITAR-free Tactical Helicopter is unique in its class, in that it has a jet-turbine engine propulsion system.” I’m guessing the KOAX X-240 was a key evolutionary step for these designs. I guess the question is, is this a large drone or a mini helicopter? Headquartered in Switzerland, UMS AERO Group is a leading international corporation specialized in developing innovative flying robot technologies for fixed-wing aircraft and helicopters. Our high-tech company focuses on the production and distribution of small and medium sized Remotely Piloted Aircraft Systems (RPAS) on a global scale.